Many El Paso homeowners are deciding to switch to tankless water heater installation for several good reasons. Switching for the traditional water heater has helped many save money in different ways. 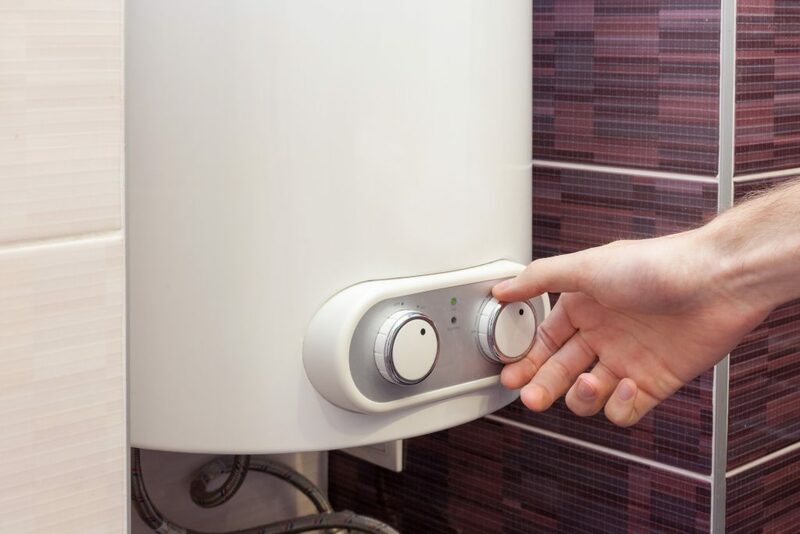 If you are considering purchasing a tankless water heater and needing an installation, the plumbers at Rocky’s Plumbing are fully licensed and insured. A tankless water heater installation can help save your household money in several ways. First and foremost, a tankless unit lasts five to 10 years than traditional units. Replacing your unit less often can save your family hundreds of dollars. There are also government tax rebates available for up to $300 for going tankless. Tankless units also use a lot less energy as they only heat the amount of water needed in the moment. For this reason they are often referred to as “on demand” water heaters. A lot of energy is wasted in older units when water previously heated up cools down in pipes and in the tank. With a new model only the needed amount of water is warmed up. As a tankless water heater takes up significantly less space. Without the need for a large tank of water, the unit can be mounted on a wall in a closet and even outdoors with an anti-freeze kit. Some homeowners even choose to install smaller units closer to the point of the most usage. While the upgraded technology might be a bit much for a homeowner to install an expert plumber has the tools and knowledge to conduct a proper tankless water heater installation. Without the large tank of water you can be sure you don’t have to worry about calcium and sediment buildup. This means safer and cleaner water for your family. Many units also have safety features to ensure that scalding hot water never reaches your family’s fixtures. In order to get proper usage and protect the integrity of your unit be sure to contact an expert to conduct your installation. With a certified, insured, and bonded plumber taking care of the job you can be sure that your water heater will function properly. At Rocky’s Plumbing in El Paso we offer prompt thorough service. Whether you need a new tankless water heater installation or a repair our plumbers can take care of the job. Contact us today for more information.